It's not entirely fair to say that the 3DS is on its last legs, but with the success of Switch and Nintendo's recent mobile push, it's no secret that the dedicated handheld is entering its twilight years. Rather than ignoring the 3DS and slowly pushing it out of the public eye and relevancy, Nintendo instead seems to be celebrating its life. In 2017 alone, we've been treated to new titles in legacy franchises including Fire Emblem, Metroid, Pokémon, Professor Layton, Pikmin, and a plethora of others including some new IP. Not to be left out of the festivities, Capcom is making a strong showing on 3DS this year with Monster Hunter Stories and now the rerelease of DS darling Apollo Justice: Ace Attorney. 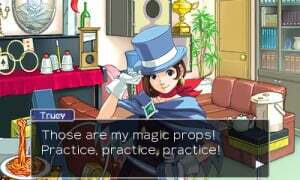 Like all games in the Ace Attorney series, Apollo Justice is a text-heavy adventure game that is more in line with visual novels than other more action-packed adventures. The story’s protagonist is the titular player character Apollo Justice, a fledgling defence attorney who finds himself working for the legendary and now disgraced former lawyer Phoenix Wright. 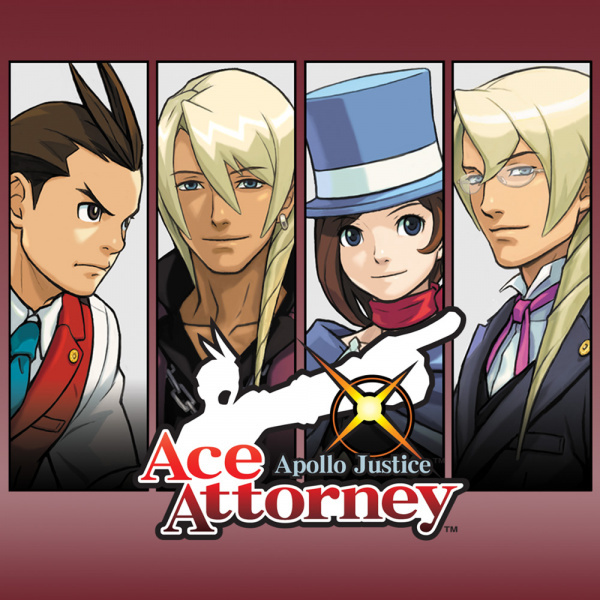 After a few plot twists and turns early in the game, Apollo joins the Wright Anything Agency, taking on legal cases, conducting crime scene investigations and essentially working as Phoenix’s proxy. The adventure is at times absurd, spanning four different cases with a connecting overarching story, but it’s always fun and never feels stale. Even some of the longer cases are paced well and interspersed with the right amount of humour and drama to draw its players in and keep them hooked. The core strength of this game is definitely in the storytelling and characters, both of which truly shine. As a visual novel, players can expect to spend most of their time with Apollo Justice reading through conversations and making dialogue choices as the primary means of interacting with the game. 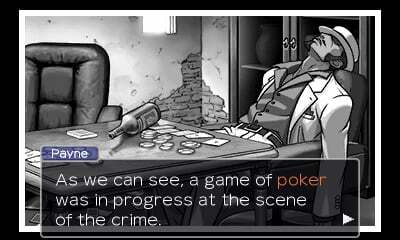 Gameplay is split up between time spent in court and time spent investigating crime scenes that are relevant to the case at hand. While the core mechanics don’t change between the two, investigations tend to be more interactive, having you tap around on different scenes to find clues and interacting with characters who may have some insight into your case. There are several different locations to explore during the investigations, and sometimes your intended goal is unclear, but the story has a habit of guiding you through each scene. Exploration in each area is encouraged, but it’s a mostly linear experience disguised by the fact that you get to choose which objects you engage with and in what order in any given scene. In an attempt to break up the monotony of tapping through scenes and reading blocks of text, the 3DS’s built in microphone is made use of to project the idea that players are actually engaging with the fictional world. This mostly comes in the form of shouting phrases such as “objection!” or “hold it!” when you want to present a piece of evidence in court, but it also extends to the investigations. 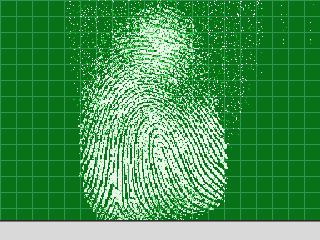 Early on in the story Apollo adds a fingerprinting kit to his clue-finding repertoire, allowing players to dust for prints by following touchscreen prompts and blowing into the console’s microphone to clear the dust away. While a fun addition, these interactive bits can just as easily be accomplished through use of the 3DS’s face buttons - a workaround that is especially useful when played in a public setting or if you, like this reviewer, are getting old and blowing into your 3DS’s microphone leaves you winded and lightheaded. The true challenge comes during the courtroom scenes when players are tasked with selecting the right piece of evidence to refute a witness’s claim or call out an inconsistency in their story. Once again, the guided nature of the game ensures that you never enter a courtroom without all of the necessary evidence at your disposal, but figuring out how the game wants you to use these items can be perplexing. On more than one occasion we were able to figure out a character’s motive and the truth behind their actions, but it was unclear how the game wanted us to steer the conversation in that direction. In this sense, some of the challenges end up being more difficult that they need to be and they can feel intentionally obtuse, despite having a clear outcome. 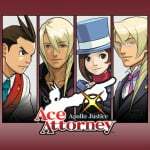 If you played Apollo Justice when it was originally released on the Nintendo DS, then you probably came to this review seeking out what’s been updated, what’s new, and other version differences. Outside of refreshed visuals, we’d be hard-pressed to identify anything else that has significantly changed since the original released 10 years ago. This version does come packed with the full game in Japanese and an option to quickly skip through text, but no discernible changes have been made to the core gameplay. It’s a fun adventure that looks great and plays well whether you’re coming into this one fresh or you played it before and want to experience it again, but anyone seeking extra features or significant upgrades should set their expectations low. This rerelease of Apollo Justice: Ace Attorney is an interesting one because it doesn’t really do anything that we didn’t see when it originally came out 10 years ago, but that’s not necessarily a bad thing. Rather than of a rebuilt game with shiny bells and whistles that clutter up the core experience, we’re instead treaded to a faithful rendition with updated visuals for a modern console generation. It’s the easiest way to experience the game if you haven’t before, and it’s a great way to pay it another visit if you have. As its lifecycle crawls to a close, the Nintendo 3DS has become somewhat of an archive, collecting franchise favorites and housing them all in one place. 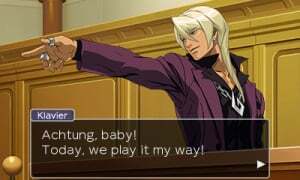 With the rest of the mainline Ace Attorney series already available on the 3DS eShop, it was just a matter of time before Apollo Justice had his day in court. 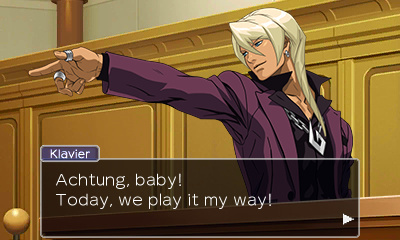 If that Klavier picture is anything to go by, then this version looks very good. I want this gif updated already. Where's my Ace Attorney Switch collection Capcom? You've already brought (and bringing) 34 rehashes to the Switch. Bring more. Better late than never I guess. It always bugged me that you could get all the main series games on the 3DS except Apollo Justice. It was a bit of a pain to have to play it by other means before playing Dual Destinies. I hope Capcom also rereleases the Ace Attorney Investigations games. Never got to try those. @Kayfios Especially now that they released the first one on IOS and Android a couple of days ago. All I want is Ghost Trick. Where is the sequel Capcom? I think I'll wait for the inevitable Switch rerelease (ideally in physical form). Ghost Trick 2 on Switch. My first experience with the AA series was thanks to the WiiWare versions, I really loved the sprite art all upscaled, felt like a SNES game, so I'm not a fan of the new art and would rather play the DS version on a DSi. Still cool they released this. @RootsGenoa Shame about that. I read it does have 3D effect, but I guess they made some effort compared to a few 3DS games who didn't add 3D. Though I still have to play the others to see what they are like lol. @heathenmagic Ace Attorney 5&6 are among the most beautiful games on 3DS to me. Finally! I’ll get this and AA6 and will be able to get the Apollo trilogy. It really took Capcom a long time, and hunting down a physical copy of AJ is annoying and expensive. I disagree completely. It is very fair to say the 3DS is on its last legs. And there is nothing wrong with that. It was a fine machine for a long time, but what we are getting now are its final big titles. I would not expect nearly as much going forward. That said, it's going out with a great collection of games. Ace Attorney is a series I hope Capcom brings to the Switch in the near-ish future.